gifts they might actually want 10:25 a.m.
A Gift for Every Type of Mom (That You Can Buy on Amazon)From the gorpcore mom to the Goop mom. What’s the Best Weighted Blanket to Gift?For anyone on your list who needs a good night’s sleep. The Strategist’s Celebrity Gift Exchange: Today’s the Last DayFollow the journey of the Queen Elizabeth figurine, see who wins a karaoke microphone, and find out who brought composting worms. 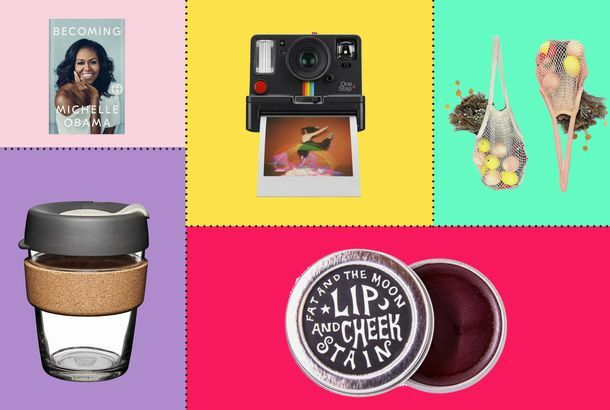 The 30 Best Gifts Under $25 (That You Can Buy on Amazon)Including sushi-shaped gummies, Portuguese toothpaste, and Birth of Venus socks. It’s Basically Too Late for Shipping, So Print These Gifts OutYes, it’s late, but beggars can still be choosers. 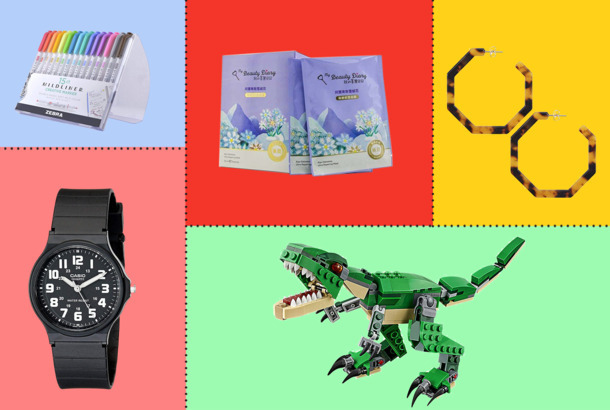 23 Expert-Approved Gifts for Kids Aged 1 Through 12 That’ll Arrive in TimeExpert-approved Christmas gifts for kids ages 1 through 12. The Best Gifts for 12-Year-Olds, According to ExpertsWe spoke to a librarian and two psychotherapists to find the best gifts for 12-year-olds. The Absolute Best Beauty Products That Will Still Arrive in Time for ChristmasThe face mask, eyeshadow palette, and silk pillowcase every beauty junkie will love. A Bunch of Design-y Vitra (That’ll Arrive by Christmas Eve) Is 25 Percent OffWooden birds, mini Eames furniture, and clocks galore. 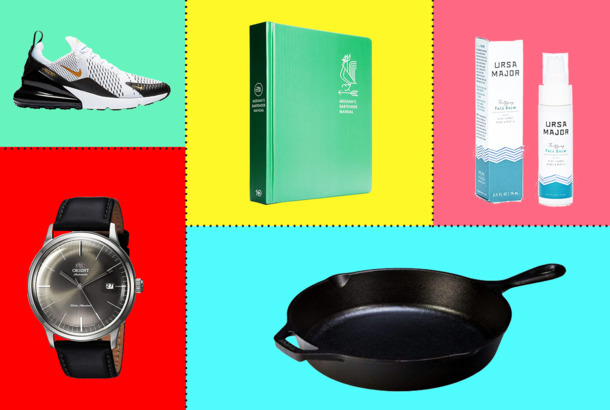 The 48 Best Gifts (That You Can Buy on Amazon) for Every Type of DadIncluding water picks, smart notebooks, and healthier frying machines. 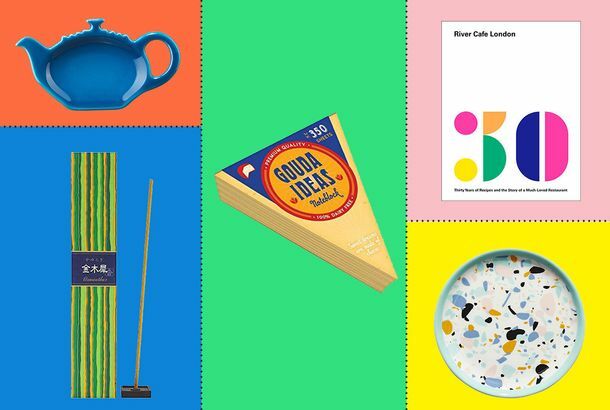 27 Delightful Things (at Every Price) That Will Arrive in Time for ChristmasIncluding a foot massager and a terrazzo yoga mat. The 5 Beauty Gift Sets I Would Want for the HolidaysFor beauty junkies and soon-to-be-beauty-junkies alike. If You Have This Tech Gadget, You’ll Love This Other ThingThe best accessories and gadgets for techies who already have everything. 50 Non-Boring Stocking Stuffers Under $25 (That You Can Buy on Amazon)From Unicorn Poopsie Surprise to a fish-eye lens for your phone. 20 Stocking Stuffers (That You Can Buy on Amazon) for Every Kind of ManFrom spicy honey to a set of spiky dryer balls. Ask Strat: What Should I Get My Impossible-to-Please Boyfriend?He owns Yves Saint Laurent and I can spend $300. 35 Gifts (That You Can Buy on Amazon) for Every Type of GirlfriendFrom a Vitamix to a pair of cheap but expensive-looking earrings. 25 Stocking Stuffers Under $5 (That You Can Buy on Amazon)From a knife sharpener to Black Panther claws. 25 Last-Minute Gifts Under $10 (That You Can Buy on Amazon)From toddler ballet shoes to trendy seltzer. 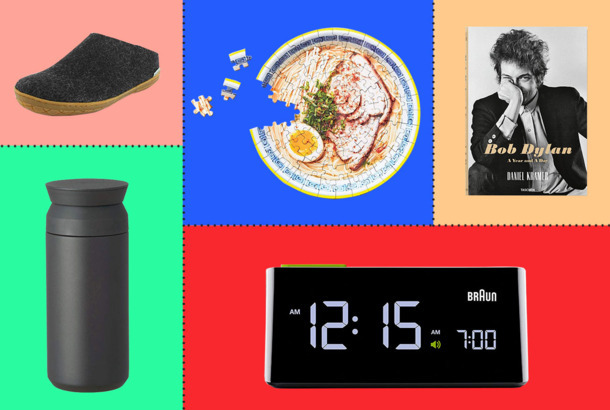 The Best Gifts (That You Can Buy on Amazon) for Every Type of Home CookIncluding the Instagram-obsessed foodie, the aspiring cook, and the chef who has it all. A Gift (That You Can Buy on Amazon) for Every Type of BoyfriendWhether he’s a coffee snob, a plant guy, or in need of a loungewear upgrade. 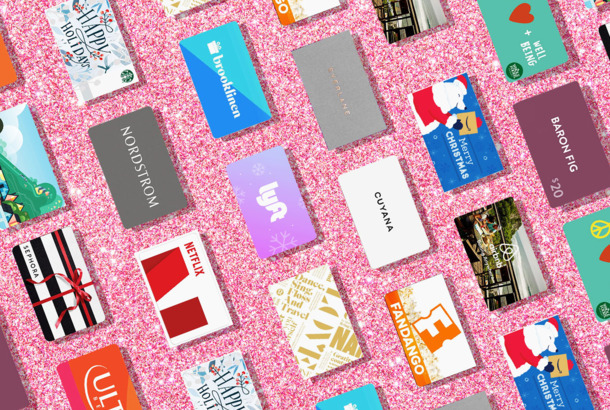 All the Best Holiday Gift Ideas From the Strategist: Last-Minute WeekAll of the best holiday gift ideas — what to get for the hard-to-shop-for, the best gifts we’ve ever given or received, plus expert recommendations. Gift of the Day: Earthy CookwareFor the budding master chef in your life. What’s the Best (Affordable) Cashmere Sweater to Give?What’s the softest, most luxurious (affordable) cashmere sweater to gift for the holidays? The 23 Best Travel Gift Ideas, According to Frequent TravelersFrom a space pen to indestructible headphones. The 35 Best Holiday Gifts for Dads Under $50 on JetIncluding beard trimmers, culty fragrances, toasters, binoculars, smart TV kits, and cocktail making sets. A Gift Under $30 (That You Can Buy on Amazon) for Every Type of Co-workerIncluding your boss, your work spouse, and your friend in HR. 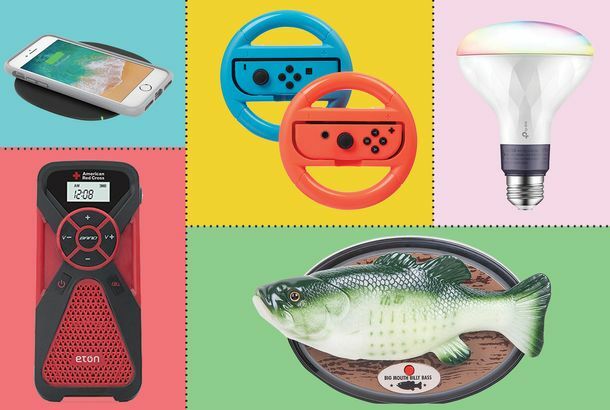 24 Tech (and Tech-ish) Gifts Under $50 That You Can Buy on AmazonIncluding a wireless phone charger, blue-light-blocking glasses, and an Alexa-enabled Big Mouth Billy Bass. 35 Stocking Stuffers Under $15 (That You Can Buy on Amazon)Including a chocolate rocks and a Bluetooth speaker. The Best Beauty Gifts on Amazon Under $30That will please every kind of beauty obsessive. What’s the Best Wallet to Give?To help us sort through the vast wallet-sphere, we talked to buyers, tastemakers, and fashion directors. The Best Gifts for People Who Are Big on InstagramFrom beaded bags to chocolate protein powder. 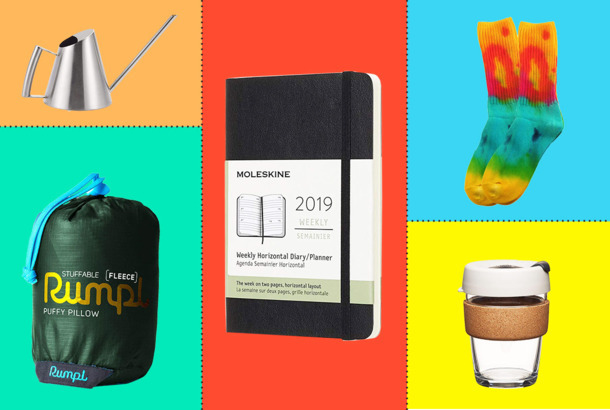 What Strategist Readers Bought: The 25 Top-Selling Things of 2018A year of pimple patches, weighted blankets, and metal straws. Gift of the Day: Minimalist PotteryFrom Raawii, a cool Scandinavian design. 25 Office Secret Santa Gifts Under $25 (That You Can Buy on Amazon)From a reusable coffee mug to fish-shaped cat toys. If You Have This Kitchen Item, You’ll Love This Other ThingActually useful kitchen gifts for people who already own a Vitamix or an Instant Pot. 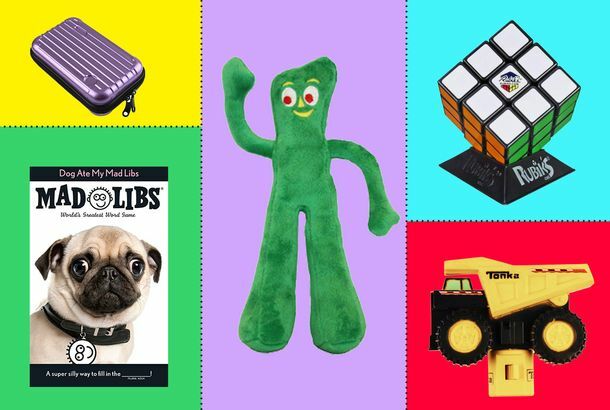 The Gifts Strategist Editors Want (and What They’ll Be Giving)From CBD gum drops to cashmere beanies to a smart dog camera. Package Deals: 11 Kitchen Gift Bundles Under $100Like DIY gift baskets, but with kitchen gear and cookbooks. What’s the Best Throw Blanket to Give?Perfect for winter hibernation. Gift of the Day: A Pillowcase Designed for Beauty SleepSweet dreams are made of this. The 20 Best Coffee-Table Books to Give, According to Art PeopleRecommendations from artists, curators, gallerists, collectors, critics, and more. The Expensive-Looking Things in the DIY Gourmet Gift Basket I Send to FriendsSpanish olive oil, Brooklyn hot sauce, and fancy French mustard. Gift of the Day: An Elegant Lunchbox for Grown-upsSo much prettier than regular tupperware. The Best Gifts for 11-Year-Olds, According to ExpertsA psychotherapist specializing in adolescents and a librarian share their picks for the best gifts for 11-year-olds. Highly Coveted Hatchimals and Hatchimal Accessories Are Up to 73 Percent OffYou can get some little ones for three bucks. Head-Turning Holiday Looks for EveryoneDress with gusto this season — solo or with a partner. Gift of the Day: A Supersoft, Affordable Cashmere SweaterIt’s obvious, but they’ll appreciate it nonetheless. Gift of the Day: Very Impressive EarringsA luxurious present that doesn’t cost a month’s rent. Ask the Strategist: What’s the Best-Looking Modern Menorah?Minimalist and modern options for Hanukkah 2018. The Best Holiday Gifts for Outdoor Enthusiasts, According to ExpertsFrom a classy pocketknife to a tent that’ll fit the whole family.